Joe, Daisy; Fung, Daisy Joe. Daisy Joe Fung is pictured wearing a man's suit in 1913. 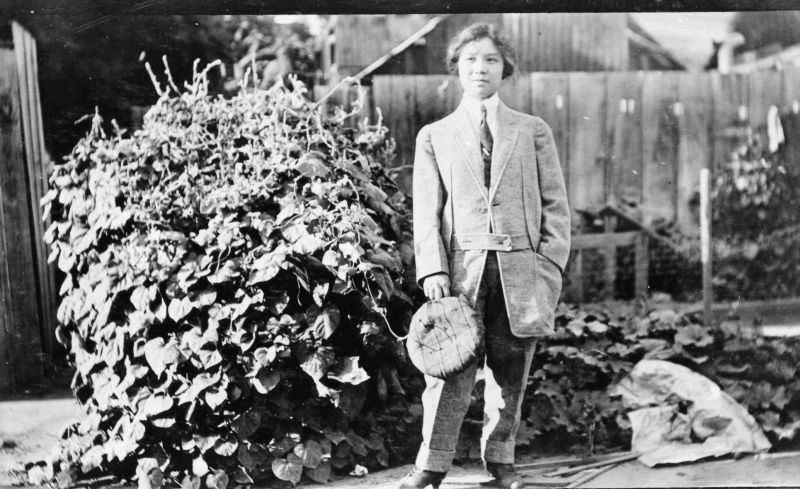 “Daisy Joe Fung,” San Joaquin Valley Library System Digital Collections, accessed April 18, 2019, http://digital.sjvls.org/document/3885.